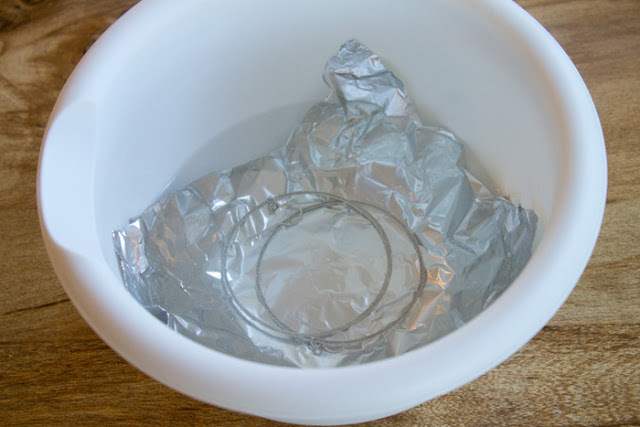 Place jewelry items into bowl and pour enough hot water to cover jewelry completely. (fizzing & the smell of rotten eggs will occur) Leave in for about a minute or up to 4-5 minutes if jewelry is really tarnished. 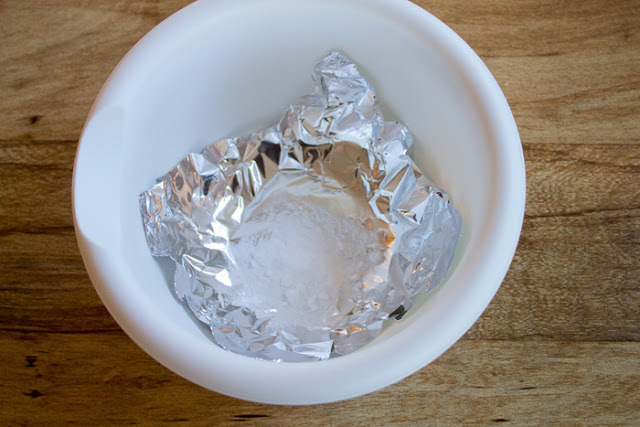 Then remove jewelry using wooden or plastic utensil. Dry using a soft cloth & polish with a jewelers cloth. It is important to completely dry jewelry items before storing in plastic ziplock bag, snack size are good. Use this cleaning method at your own risk. Superjewelry.com will not be responsible for damaged items. Youtube has many methods of cleaning silver jewelry too.